The Native American basketry design featured in this Blanket is called Foot. 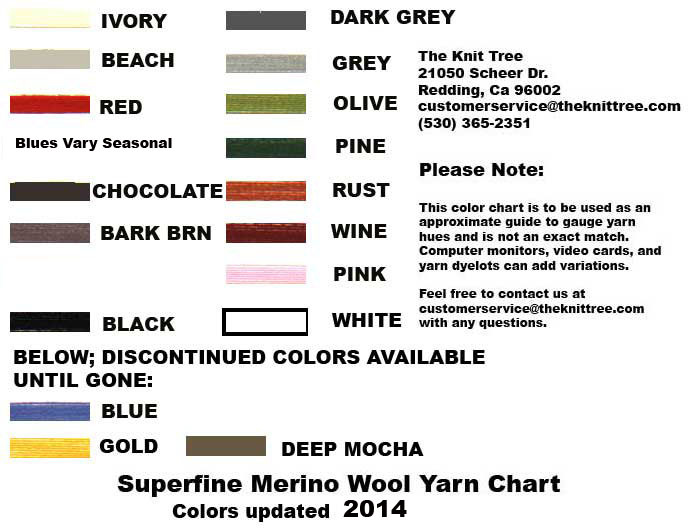 Choose your four colors from the yarn chart, follow directions below for selecting colors. Then type your color choices in the text boxes below. Sizing varies slightly dependent upon the fiber, color and motif combinations The following is a table of STANDARD 4 COLOR WAYS. 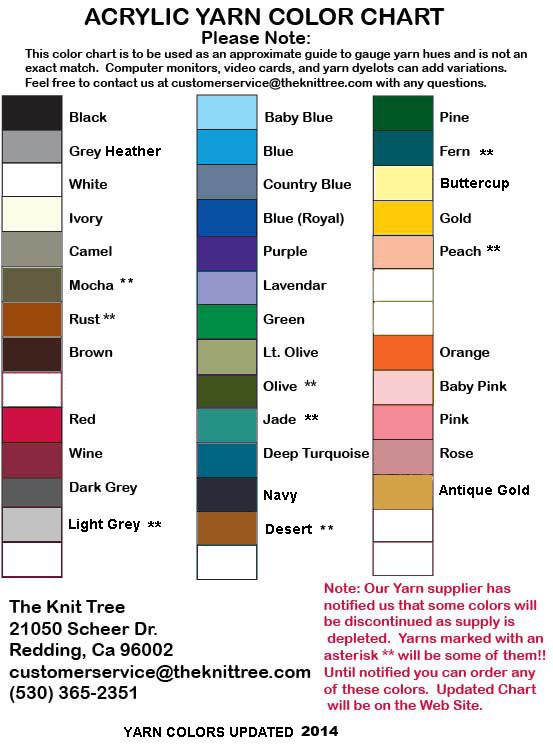 Click Here is see a View of Standard Colors Choices for the Foot 4 color pattern repeat that we have hand loomed for clients. Color 1 is Black in our sample It is the background color in the two side panels. Color 2 is Ivory in our sample It is the color of the small motif and its verticle, toothed borders. 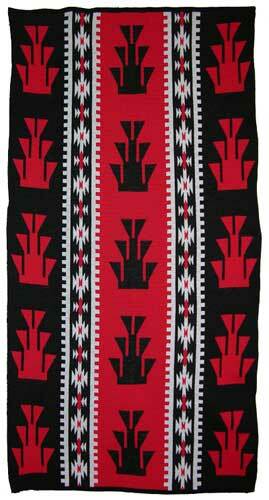 Color 4 is Red in our sample It is the Foot motifs in the two side panels and the background in the center panel.